Bubble witch Saga - Tips, Tricks and Coins: How to play mini games. How to play mini games. You can make unlimited free coins for yourself and other members by following the instructions here. You never need to run out of coins! to show ONLY BWS posts. 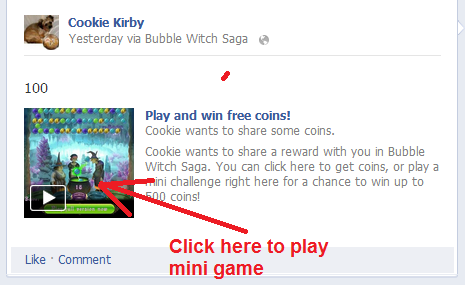 Then click here to play a mini game. coins click on "play now". 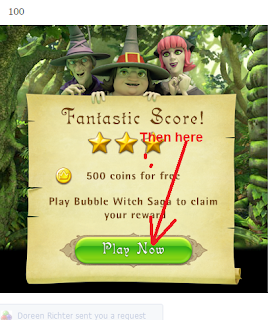 The game will load and you will have your 500 coins. If you want to share them with the group members on the blog, copy the link shown below and send it to one of the admins. Cookie,Janine, Siggi or Clare. We'll put the coins on the blog with your name.